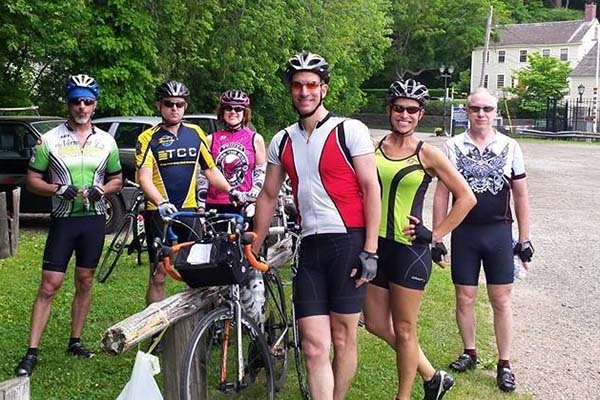 Thread City Cyclers is an eclectic group of cyclists who are centered in the greater Windham-Mansfield area of northeast Connecticut. We draw membership from across Connecticut to the "Quiet Corner" of Northeast Connecticut which offers hundreds of miles of rural riding on scenic country roads as well as rail trails. TCC's membership is 170 strong and growing. What unites and sustains us is that we love to ride. 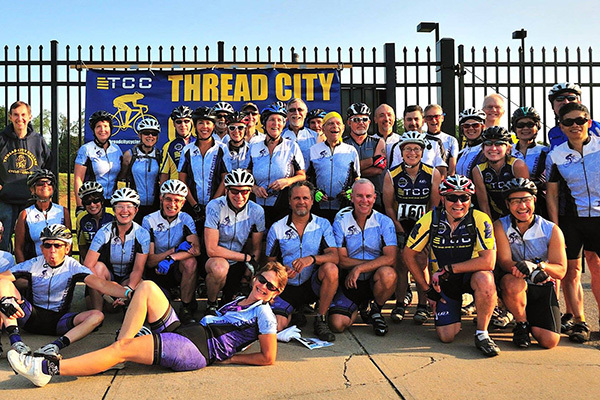 Thread City Cyclers offers organized group rides, typically on Saturday mornings during the warmer months and on warm days in the colder months. Rides typically run from about 30 miles - 60 miles. Riders can join a low-intensity group or a more advanced group, whenever they feel like it. These rides are not a competition and no riders will be left behind. Benefits include mutual support, fun, skill-building, and mutual aid. The 102 Mile Century ride has been updated! We'll travel through the newly paved, twisty turns of Devil's Hopyard State Park, across the Connecticut River at the Goodspeed Opera House and back over the river on the Chester-Hadlyme Ferry in the shadow of Gillette Castle. Shorter routes are available.